The NBA Draft came and went Thursday night. 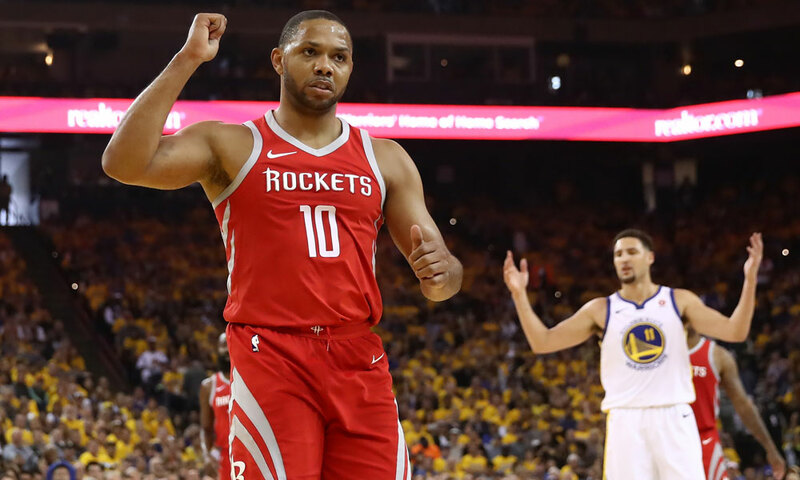 The Rockets, holding just the 46th pick going in, selected USC guard De’Anthony Melton and then picked up the 52nd pick from Utah for cash, nabbing Purdue forward Vincent Edwards. 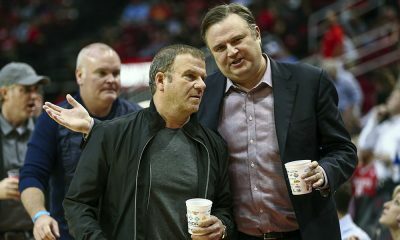 However, with NBA free agency set to begin and trades being the most likely avenue to bolster the squad, general manager Daryl Morey may have given out a hint on a potential strategy the Rockets are looking at to improve. 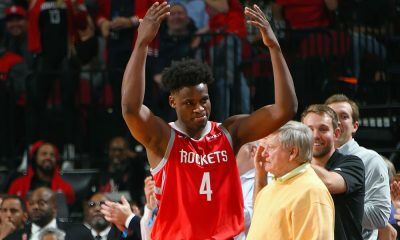 Morey said late last night that the Rockets were never close to moving up in the draft, but he did discuss a “larger deal” that was a possibility on draft night. It’s fairly obvious to me that he’s talking about an Eric Gordon trade scenario. Go down the list of Rockets assets that could net important draft picks and you’ll come to that conclusion. Chris Paul, Clint Capela, Trevor Ariza and Luc Mbah a Moute are all free agents. James Harden is laughable to suggest. Ryan Anderson is a negative trade asset that will cost picks to move, not reel them in. PJ Tucker is a possibility, but extremely unlikely for several reasons. The Rockets could have dealt for a smaller bad contract, but that’s even more unlikely given the looming luxury tax. So while it’s not a 100% lock, it’s a safe bet that Morey was talking about a scenario where the Rockets were trading their super-sub for pick assets. People would have been focused on the Rockets losing Gordon, not the draft picks. Why would a 65-win team trade away such a valuable piece? It’s a currency exchange. 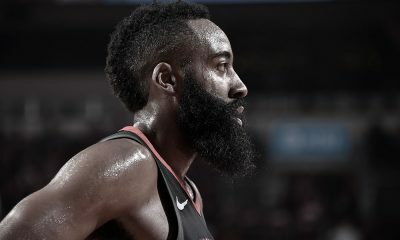 The Rockets are looking for a third star and any team unloading a star is more likely to be attracted to future assets (draft picks) than win-now pieces (a 30-year old Sixth Man of the Year). It would seem to be a page taken straight out of Morey’s 2012 playbook when he traded Kyle Lowry to Toronto for a lottery-guaranteed first-round pick, which the Rockets GM then flipped a few months later as the key piece in the trade to get Harden. But if that is indeed what the Rockets were exploring, there’s a lot to speculate about there as well. 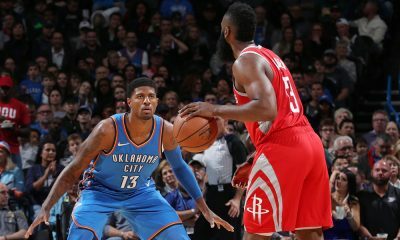 The Rockets are targeting big names (LeBron James, Paul George), but do they have an eye on others if/when the first two fall short (Jimmy Butler)? 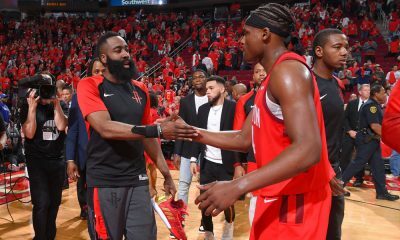 Do the Rockets feel confident they can fill Gordon’s third guard role, a key to Houston’s success, some other way? Buckle up. Things are bound to get interesting this offseason.